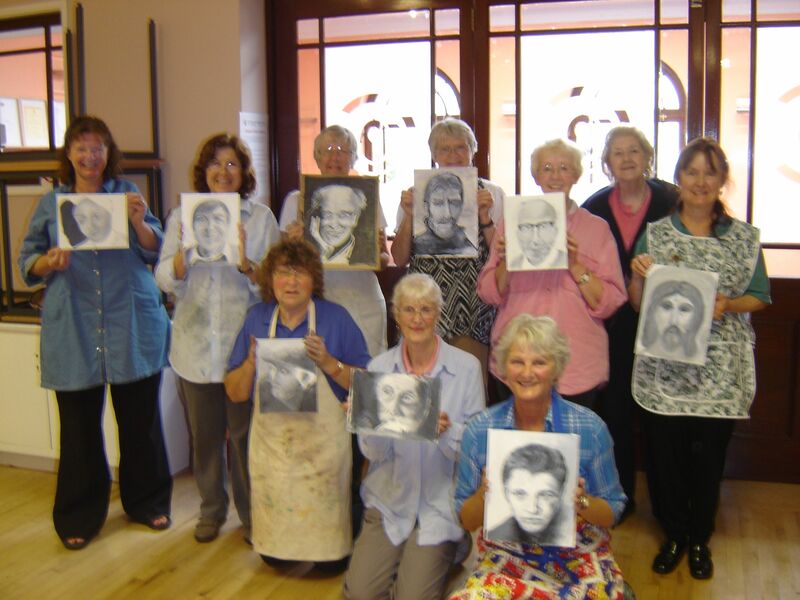 As the Centenary Centre is a centre for the Arts, Founder Members decided it would be good to have an art group. So in September 2010 Norman Teare took up the reins and along with Marg Hewson, Norma Corlett and Dorcas Costain Blann set about establishing a nucleus of artists. Through invitation and word of mouth the Group expanded rapidly. 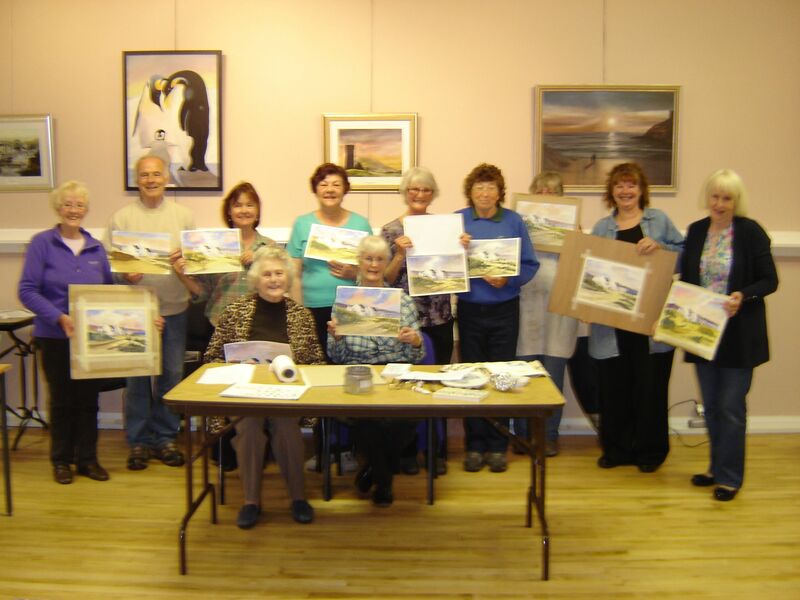 Several local artists kindly agreed to do workshops and they all gave their services free of charge. In the May of 2011 we had our first Exhibition and the work of our tutors was also included. Norman handed over to Jeannette Griffiths in April 2014 and the Group continued to flourish. We meet on Tuesday’s between 10am and 12.30pm and members do their own projects. Members use a range of mediums eg. watercolour, acrylic, inks, pastels etc. 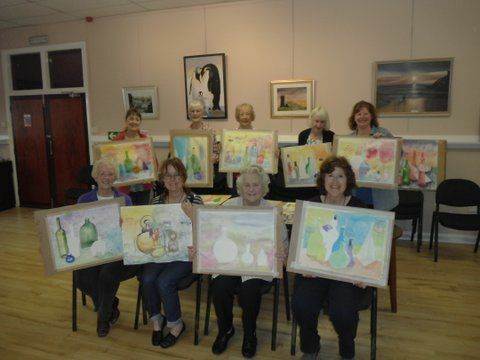 Workshops are held at regular intervals and the Group have been lucky enough to have Heather Hall and Christine Boothby (one of our members) teaching watercolour on a regular basis. Also we have had lessons with Bruno Cavellec and Kate Halsall using oils. Allowing everyone to try something different and experiment. These are always much enjoyed and well attended. The Group is at full quota at present. We have an Annual Exhibition at the Centenary Centre where almost everyone has work displayed.